W. Lorne Skidmore, 76 years of age, of Leamington passed away on Thursday, January 24, 2019 at All Saints Hospital, Springhill. Born in Springhill, he was a son of the Late Halton and Annie (Nutting) Skidmore. Lorne loved the outdoors. He enjoyed hunting, feeding the birds, puttering around his work shop. Lorne worked as a corrections officer at the Springhill Penitentiary for 30 years. Lorne was a kind hearted man who would help anyone in need. He is survived by his companion Marilyn Totten; daughter, Connie Skidmore (Michael Mosley)of Amherst; Marilyn's daughter, Catherine (James) Rooney of Halifax, her children, John Francis, Meghan, Thomas; brother, Harley "Toby" Skidmore (Darlene) of Springhill; sister Eleanor (Nick) Harroun of Valley Rd. ; several nieces and nephews. Besides his parents, He was predeceased by Connie's Mother, the late Audrey McDermott. 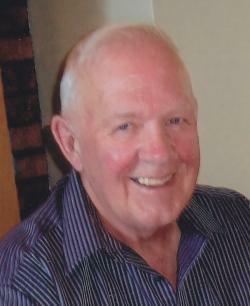 Arrangements are under the care direction of A H Brown Funeral Home, 5 McFarlane Street, Springhill, (902 597 2361). The family will receive visitors on Monday, January 28, 2019 from 1 -2 p.m. A memorial service will be held at 2 p.m. with Rev. Brian Spence officiating. Burial will take place in the Leamington Cemetery in the spring. The family would like to thank Dr. Karivelil and staff on the 2nd floor of All Saints Hospital and the staff at the Moncton City Oncology Dept. Family flowers only. Should friends desire, memorial contributions may be made to the All Saints Anglican Church or the charity of your choice. Sharing of memories and condolences may be sent to the family by visiting Lorne's online memorial at www.brownsfuneralhome.com or through the A H Brown Funeral Home Facebook Page. All Saints Anglican Church, Choice.